New bolt anchors have been installed in the Near Trapps. The GCC has been working with the Mohonk Preserve to identify tree anchors and erosion slopes that have led to environmental degradation. 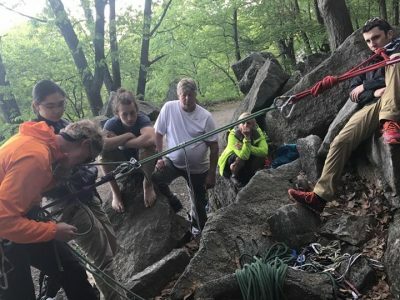 Climbing guide Joe Vitti tells us about the Saturday Night Live Free Climbing Clinics at the Gunks he founded and the tragic accident that motivated him to help make climbing at the Gunks safer. Gunks Climbers' Coalition board members had a table at Tommy Caldwell's book event at Patagonia Soho on May 16th, 2017. Proceeds of beer tips were donated to the GCC. 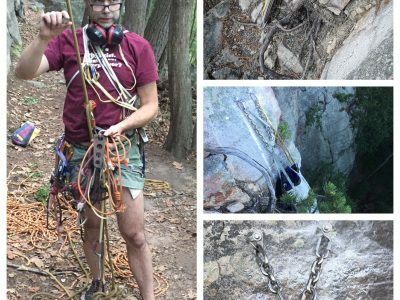 Learn about our Adopt a Crag "Clean & Climb" at Bonticou Crag in the Mohonk Preserve on April 29th, 2017. 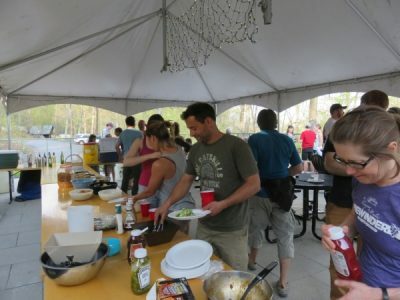 On April 20th, the NYC climbing community enjoyed a presentation by the Gunks Climbers Coalition & photographer Chris Vultaggio about Gunks rock climbing & land stewardship. 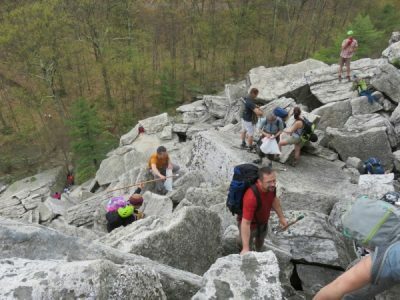 Spring Adopt-A-Crag event at Bonticou Crag in the Mohonk Preserve on April 29, 2017! 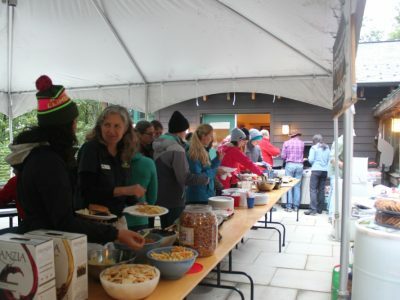 Volunteers needed to remove trash in the talus and re-blaze trails. 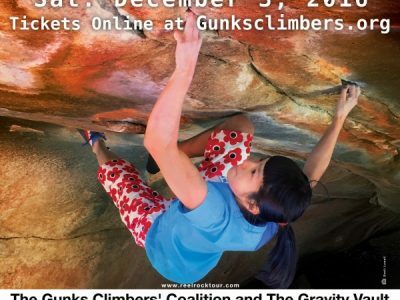 The Gunks Climbers' Coalition is proud to present the Reel Rock 11 Tour at the Gravity Vault in Poughkeepsie on December 3, 2016.